“The Progeny: A Novel” by Tosca Lee, is the first novel in her Descendants of the House of Bathory series. It’s a thrilling tale that takes you through the underground world of Eastern Europe. Tosca Lee, a New York Times bestselling and Nebraska author, brings a modern twist to the ancient mystery of Elizabeth Bathory, the most notorious female serial killer of all time. This novel is a part of our NLC Book Club Kit collection, make it the next read for your book club today! This Nebraska author will be make two appearances in Lincoln tomorrow (Jan. 26, 2019)promoting her new book, “The Line Between: A Novel.” Find her at Francie & Finch Bookshop​ (130 S. 13th. St., Lincoln, NE) from 11am-12:30 and at the South Point Barnes & Noble Booksellers at 2:00 pm! Today’s #BookFace model is relatively new to NLC, meet Kayla Henzel! Kayla started with us in December as an Administrative and Communications Staff Assistant. 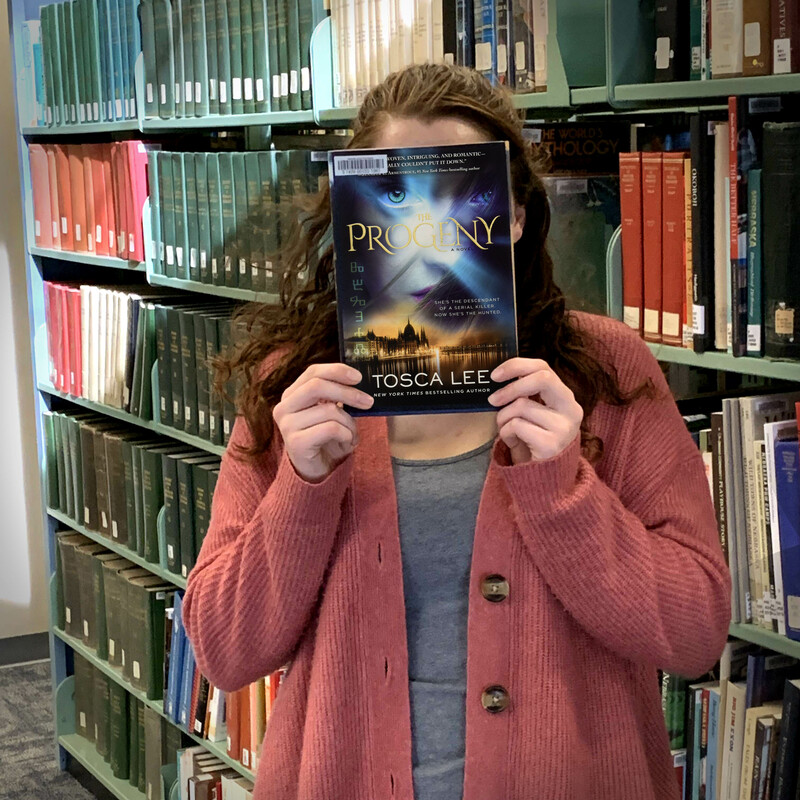 This entry was posted in Books & Reading, Nebraska Center for the Book and tagged "The Progevy: A Novel", Book Club Kits, bookface, bookfacefriday, Nebraska Author, Tosca Lee. Bookmark the permalink.